It seems like new cafes and restaurants open every week on the Gold Coast at the moment and many of them are exceptionally good. It’s hard to keep up with testing them all out but we do our best. Over the past few months we’ve developed a few firm favourites that we go back to time and again and recommend whole-heartedly to anyone looking to experience the best grind and tasty fare on the coast. Not so long ago Queensland’s coffee culture was looked down on by the southern states for relying on the tropical weather to lure people out rather than having to earn their patronage. I can honestly say that’s all changed now and there’s plenty of top-notch baristas that give their interstate peers some very tough competition. You’ll have no difficulting getting your brew of choice within a few metres of the golden sands. 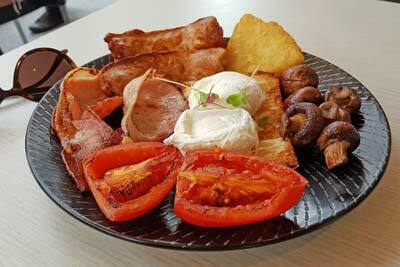 This cafe selection is chosen from within a 4 km stretch of coast encompassing the Broadbeach and Mermaid Beach area. These beaches are a popular base for visitors with their great range of accommodation, stunning beaches and so much choice of things to do. And now deciding where to eat or grab a coffee won’t be an issue either. 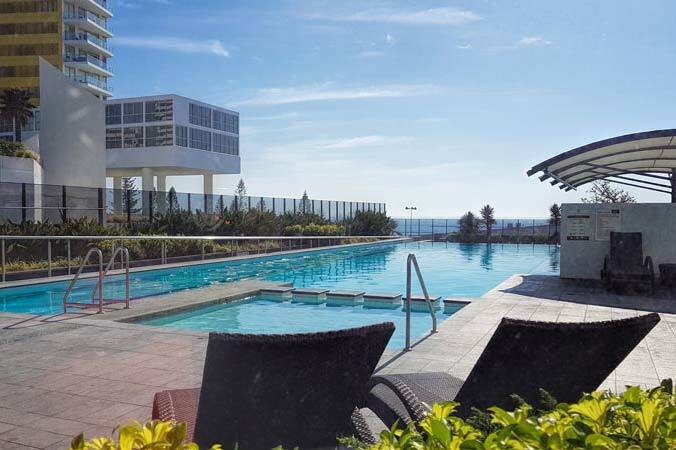 If you are already in the area these will mostly be an easy walk from where you’re staying but they’re also accessible from other parts of the Gold Coast via the light rail service or Surfside buses. Looking for more detail or directions? Click the square in the top right to open the map in a new window or click on each coloured pin for interactive information on the name and location of each of our top spots. 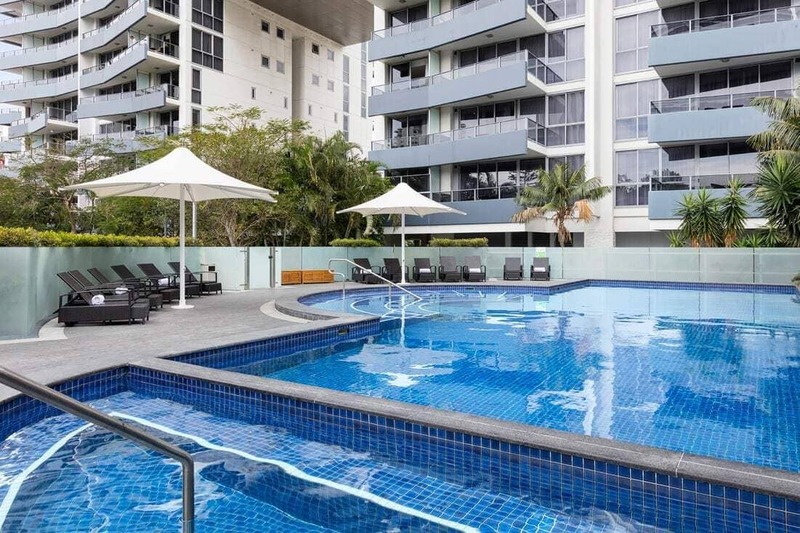 This one is tucked away a block or two north from the main cafe and shopping precinct of Broadbeach but it’s well worth the short work to find it. It’s always busy but maintain a relaxed feel that’s perfect for a Sunday morning, or any morning really. Everything from the decor to the unique menu makes this one stand out from the crowd. I LOVED this seasonal pumpkin pie breakfast doughnut with sour cherries and pumpkin seed toffee brittle but if you prefer to stay more mainstream their variations on a ‘traditional cooked breakfast’ are super tempting too and their corn fitters with poached eggs and crispy bacon are hard to pass up. This one is definitely back on the list for lunch next time although I do love my weekend long breakfast. An extra mention too for the matcha latte which came as somewhat of a surprise with a ruby red topping, turns out just a light hand of beetroot powder is pretty darn good with green tea and gives an extra dose of anti-oxidants to boot! The surroundings blend modern and traditional as effectively as the cuisine on Mamasans Asian fusion menu. Chef Ray Choi puts up some delicious flavour combinations but equally he does the simple and traditional such as Chinese duck pancakes impeccably well. The plates are designed for sharing and can be enjoyed as a snack alongside a few drinks or as a full banquet. The menu is predominantly Japanese in origin but includes a frequent nod to favourites from Vietnam, Indonesia and China. The flavours meld beautifully as your tastebud explore dishes inspired from all across the Asian continent. The soft shell crab bao would have to get an honorary mention as would the sashimi of ocean trout and the Sichuan salted duck that are all too good to pass up. 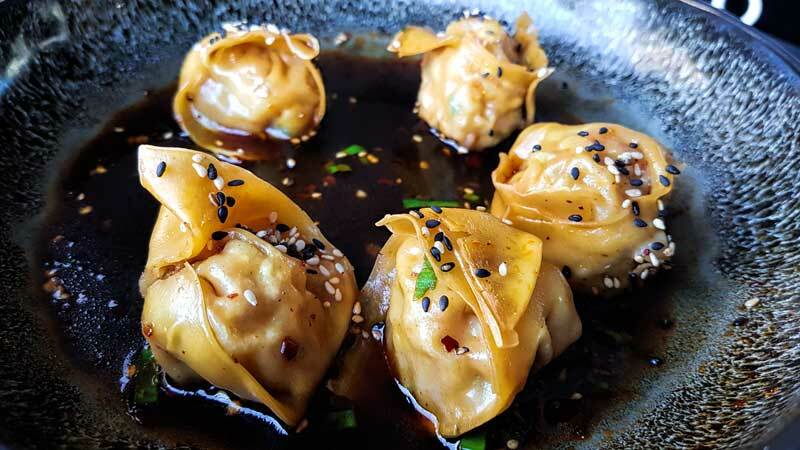 It’s unusual for a restaurant chain to catch our attention but I do love a good dumpling and when that’s on offer alongside some unique craft beers it does have to be included. 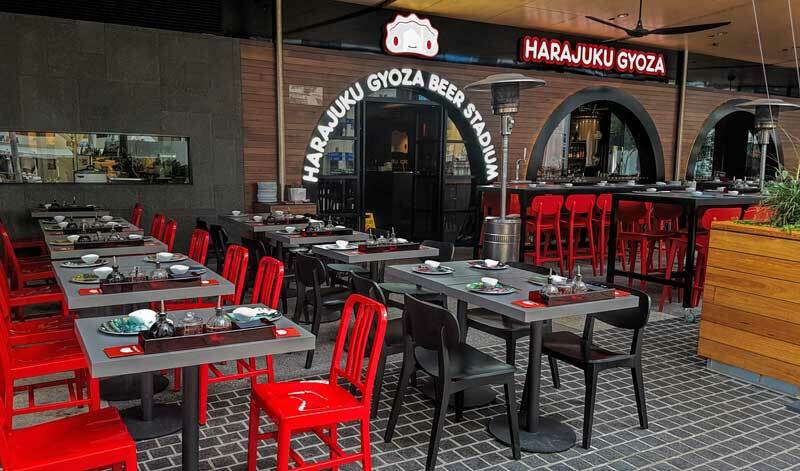 This lunch spot on the Broadbeach Mall is the latest addition to the Harajuku Gyoza family in Queensland and offers something a little different with a variety of Japanese style craft beers brewed on site and available on tap. The selection is changed up regularly but if you like a Japanese beer from a pale ale to a black beer you’ll get it here with hearty plates of gyoza, tempura eggplant, edamame snacks and other typical Izakaya fare to go along with it. 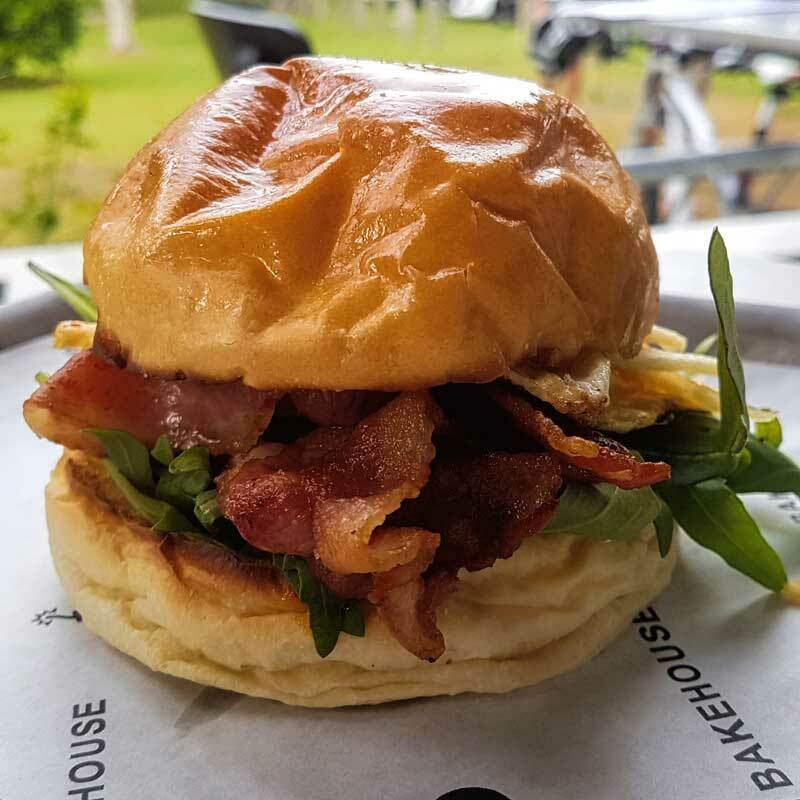 Also located on the Oasis Mall in the heart of Broadbeach, Base Espresso is open all day for breakfast, lunch and coffee. 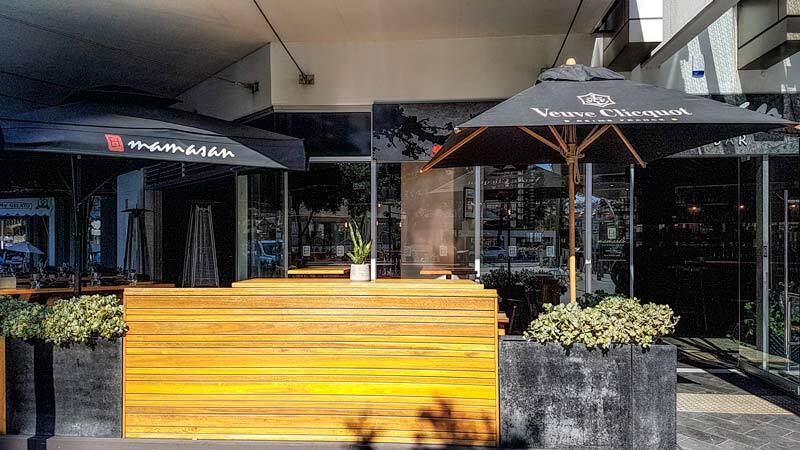 With an inviting alfresco seating area, early opening and a family-friendly menu they are usually busy. 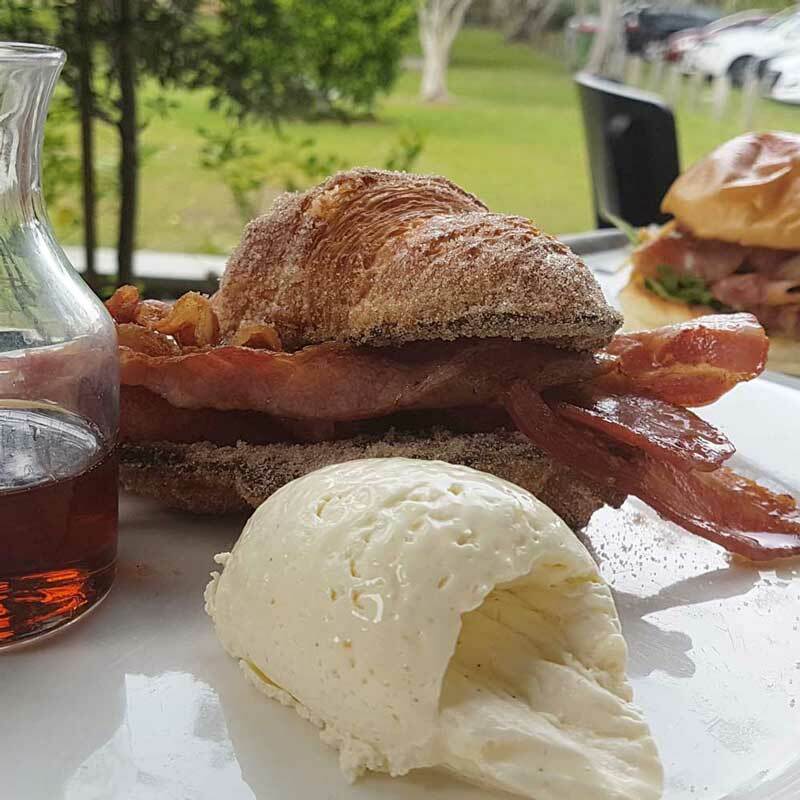 Their coffee is some of the best in the immediate area as part of the third wave coffee movement and their menu offers value for money with their own take on most breakfast and brunch favourites. With the focus on fresh produce and local where possible they have created an interesting all day menu with a good selection of healthier choices. 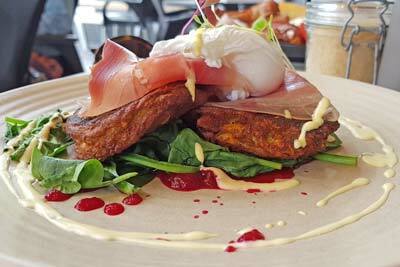 I had the corn fritters which came with the poached egg perfectly cooked, fresh prosciutto and spinach and the big breakfast was fairly overflowing the plate it came on. 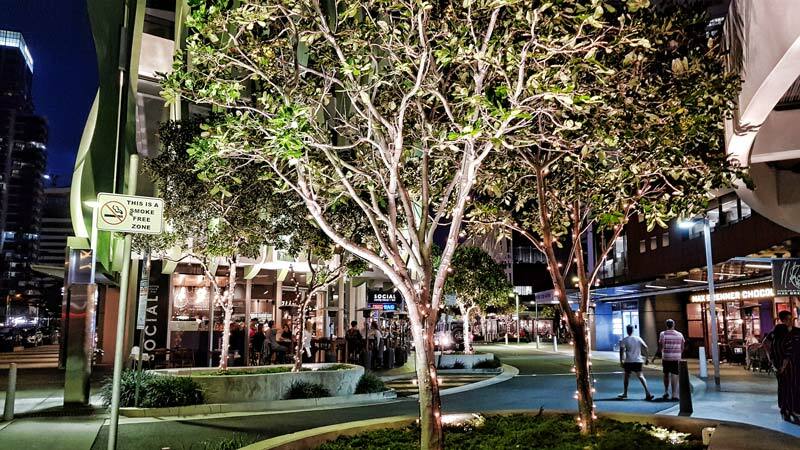 The Social Eating House is situated on the corner of Oracle Boulevard opposite Peppers Broadbeach. This is a great little dining precinct just up from the beach and this would be one of the most popular bars and restaurants here. There’s a choice of indoor and street front dining serving up a wide variety tapas in small and large share plate options, decadent desserts and a huge whisky and general bar selection. Matt and Amy Jefferson have turned the Social Eating House into a Gold Coast icon in its 4 years, taking out 3 People’s Choice Awards for Chef of the Year and winner over patrons with the age old trifecta of great food, great staff and great atmosphere. When we found this little gem we went back three weekends in a row, we’re nothing if not consistent when we find something we like! Tucked away at the side of Mermaid Park between the beach and the Gold Coast highway it feels like a very badly kept secret. It’s not large and it’s an incredibly popular spot but we’ve managed to fluke a table without waiting each time. Glass walls open up the inside to the outside when weather allows, which is most days, and there are tables on the patio at the edge of the park that I usually make a beeline for. Inside you’ll find the Bam Bam team have been up and baking since the early hours and the cabinet is filled with pastries all made on site. Their signature croissants take 3 days to make and feature in many of their menu items including my recent indulgence, the croissant french toast. Just when you thought french toast couldn’t get much naughtier they dip a decadent freshly made croissant in egg custard, cook it to perfection and serve it with a jug of maple syrup and vanilla cream – oh and fruit, there is fruit which qualifies it to be breakfast! 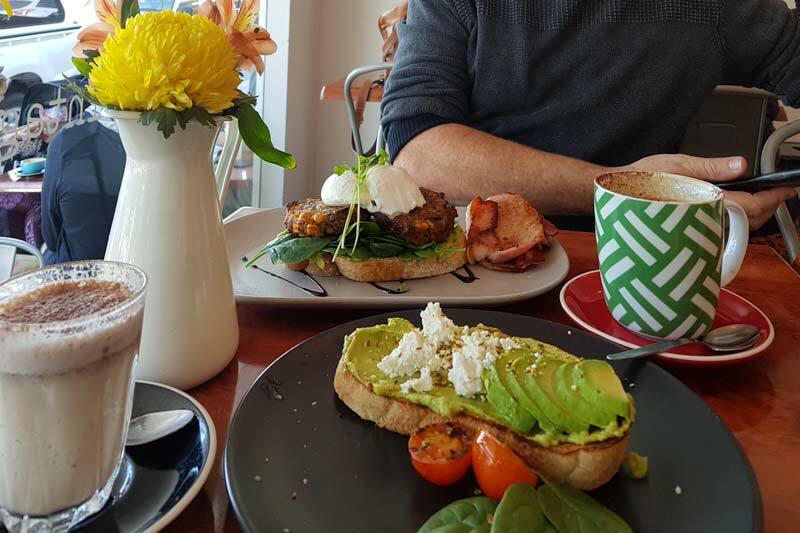 Drew’s a little better behaved with choices like the BamBam benny or brekky burger but we’ve both been known to sample from the pastry cabinet. I dare you to eat here and not leave with one of their pastry boxes delicately cocooning a little treat for later. I’d had this one on the list to try for 6 months after it opened and finally got out here on a stunning winters afternoon after a trip up the Skypoint tower to see the view. Now we’ve been once we’ll certainly be back, there’s not a single thing on their menu I don’t want to order. It’s not surprising we rate this little gem with our triple love of (a) share plates (b) Asian fusion and (c) pillowy soft cloud-like bau filled with incredible flavours and textures. There’s an amazing selection of bau on the menu, as you would expect from the name, but it was a surprise to me how much else there was to choose from. I have to have a bau or two which takes a bit of deliberation to work out which ones to go with because they are deceptively filling and very moreish so I’d suggest you go easy on ordering them if you want to fit in plenty of other dishes. I was in heaven when I found that not only did they do salt and pepper tofu but they did it incredibly well, my previous holy grail of S&P tofu made the unfathomable decision of removing it from their menu last year so I know where I’ll be heading for my fix in future. Don’t knock it if you haven’t tried it – this is not a dish that should be left to the vegans. 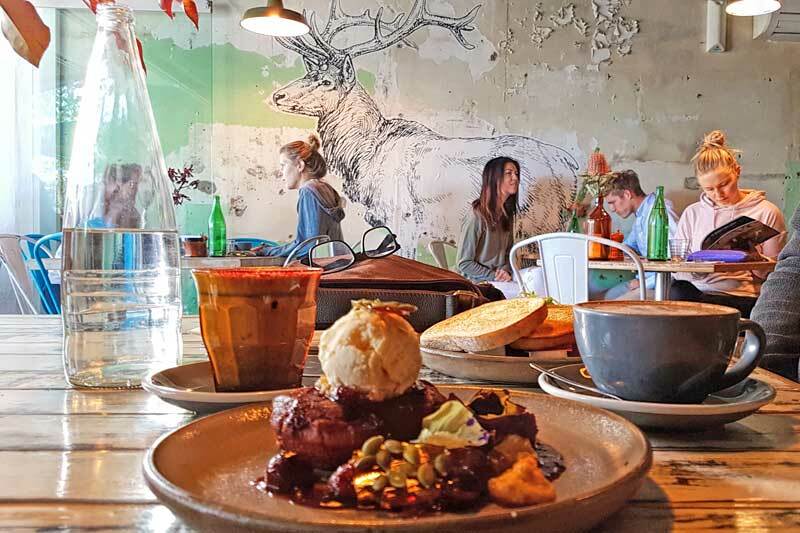 This much loved local hangout is just up from Mermaid beach on Alfred Street but is starting to get a lot better known. Plan to get in early as there are only a handful of tables inside and a couple on the street and they go like hot cakes. The cute cafe takes coffee super seriously with a full range of milk on offer and a great selection of teas by the pot if you prefer. There are vibrant coloured fresh juices on offer too with intriguing names like ‘The Cure’ and ‘Bloody Rose’ almost enough to tempt you to drink your veges with breakfast. I love their bright yellow coffee machine, colourful crockery and old-fashioned milk jugs with fresh flowers on the table that give Vintage Espresso a relaxed and fun vibe. The menu is simple, fresh and delicious and as usual we have a preference for their brunch selection although if you’re a late riser lunch isn’t something to pass up either. I only discovered Poke bowls this year, I don’t know how they escaped my notice, you’d think I’d been hiding under a rock or something but having now discovered Poke Poke in Mermaid Beach I’ve more than made up for my oversight in a few short months. 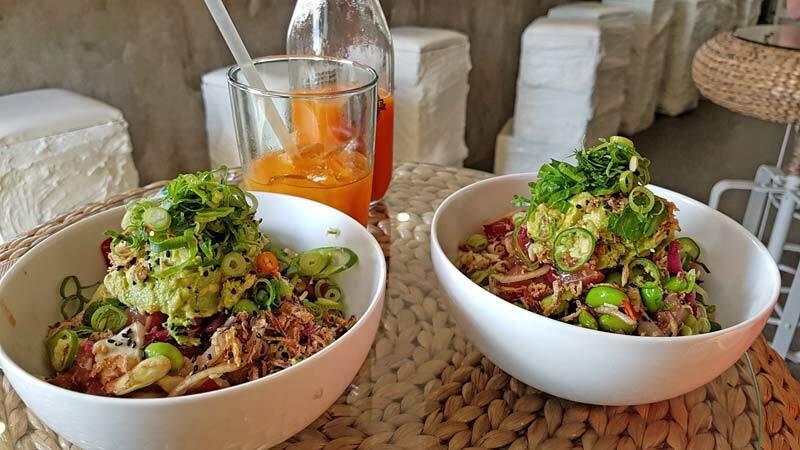 They have a cute little cafe on Alfred Street with indoor and outdoor seating but will happily pack your Poke to go for a short walk back to the beach at the end of the road. There’s a range of options on offer and to be honest they all sound really delicious but I have a lot of difficulties getting past the first menu item. I am determined though and keep going back with the intention of eventually eating my way through the list. How good does this ‘Tuna me on’ look, and it’s a pretty healthy option too. There’s a bed of brown rice generously topped with sashimi grade tuna with soy and sesame sauce, a good lashing of creamy avocado, crispy shallots, the tang of pickled cabbage and some crunchy edamame all dressed with an onion and wasabi mayo. I’m feeling the need for a poke run again. Location The official address is Shop 10a, 2375 Gold Coast Highway, Mermaid Beach and there is parking in the shopping centre carpark but they are on the side and look out onto Alfred Street. Hours Tuesday to Saturday 9 am to 8 pm, on Sundays 9 am to 4 pm and on Monday, I learned by sad experience, they are closed. Not technically a cafe as it’s only open in the evenings but I’ve included it here for its informal style based loosely on a Japanese Izakaya. It’s a difficult one to put into a category but the unique style and fantastic food make it a worthy inclusion especially if you have a real love of Asian flavours as we do. The seating is a mix of bar stools, large shared benches and tables that will accommodate 2-4 people. Unlike a Japanese izakaya you must book and if you want a table to yourselves make sure you are very specific, I booked ‘a table for 2’ several days in advance and we still got shown to bar stools. The bar area has its own atmosphere but it’s very dark and loud even on a mid-week night and the price point at Etsu, while reasonable for the quality, isn’t bar snack prices. Fortunately there were empty tables and they were able to move us. 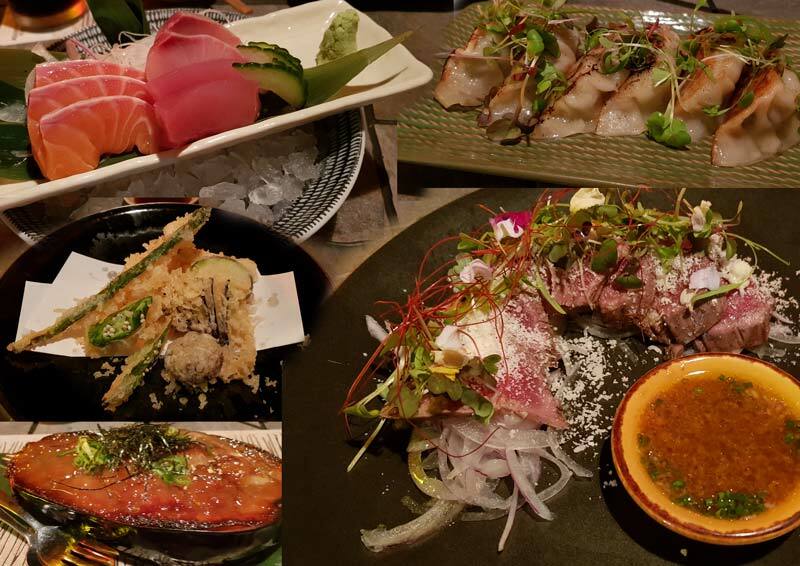 The menu is Japanese – Western fusion in style. The sashimi quality is excellent and perfectly fresh, the Etsu gyoza are also delicious and the depth of flavour to the miso eggplant dengaku made it my favourite dish of the night. Some dishes such as the beef tataki tend more to the fusion side, the parmesan cheese used as a topping on the delicate rare beef was dominant and unexpected but not unpleasant. There were a variety of other favourites available all equally well presented including sushi, tempura and items from the grill. Address: Set on the busy highway and discretely hidden away behind a wooden sliding door marked with the trademark akachōchin (red paper lantern). Once you step inside your senses are overloaded and you feel as if you’ve been transported to another place altogether. Etsu Izakaya is at 2440 Gold Coast Highway, Mermaid Beach. 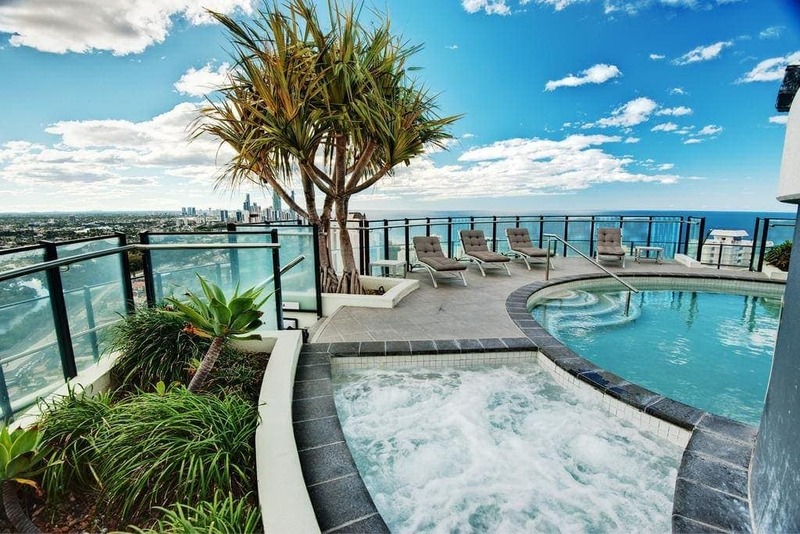 It’s not surprising that we love to visit the Broadbeach and Mermaid beach area whenever we have a chance, there is so much to do nearby and so many great choices for a foodie indulgence. If you have any other favourites from the area I’d love to add them to our list to try this summer, let us know in the comments below! Looking for somewhere to stay nearby? These are our top picks.